SugarHouse Casino Promo Code - April 2019 - "MAXBONUS" | Up To $250! SugarHouse Casino Promo Code "MAXBONUS": Claim the eligible bonus manually from within your newly created account after log-in per promotion instructions. Must be 21+ and present in NJ. Bet with your head, not over it. Gambling Problem? Call 1-800-GAMBLER. Please read full Terms & Conditions. The SugarHouse Casino Promo Code is MAXBONUS. At SugarHouse, new members can start enjoying legal online gambling in the state of New Jersey with a generous offer. This SugarHouse promo code can be redeemed for free cash and will allow new players to quickly get started with this trusted gaming site. In addition to the great welcome offer that is presented, those that create real money accounts will be able to benefit from other stellar promotions as they access the site. SugarHouse is a safe and secure site that is owned by SugarHouse HSP Gaming, L.P. and has been aptly named after the casino that is located in Pennsylvania. 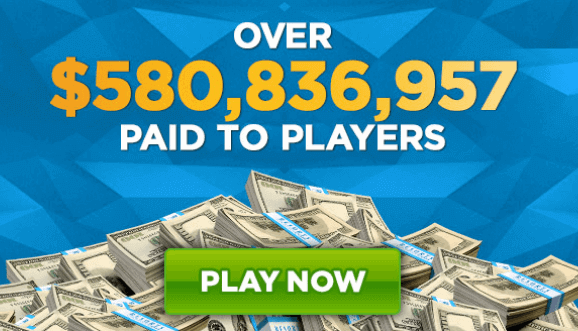 With a great gaming platform and a super SugarHouse bonus code, players will quickly see why this site has become a leading choice for NJ online gamblers. Game types Keno, Slots, Blackjack, Bingo, Video Poker, Sports betting, Slingo, and more! Download the App Play today! Getting started at this great New Jersey legal casino is simple and rewarding. Players are free to check out some games in demo mode, which will require no deposit to be made. However, those that wish to start generating payouts will have to visit the casino cashier to make a deposit. When they do this, not only will they be able to place wagers, but will also be able to make use of the SugarHouse bonus codes that are offered, presenting a great welcome package. The first deposit that is made to the site will be eligible for a 100% match bonus that will add instant funds to the new account. This can be worth as much as $250, so it is a great way for any new player to get started. Unlike welcome bonuses that are offered at other online casinos, this great deal only has a 1x wagering requirement, so it is a beneficial bonus for any new member looking to enjoy a legal casino in NJ. March Madness mania is in full swing at SugarHouse Casino! Right now, get an awesome March Madness slots promotion called Match-Up Mania. Between March 18th and April 7th, each week will pit popular slots against each other in a money match bracket tournament. Each week, a team of 4 slot games will go head-to-head against another 4-game team. Then, at the end of the week, whichever slots team has the most real money wagered wins. Remember, don’t just pick a winning team. You should also play the slots of your team to up their chances of winning. If you pick the winning team you get a 10% bonus back of all real money net losses on the winning group of games from each week’s showdown. After taking advantage of the initial SugarHouse bonus code MAXBONUS, members can go on to visit the Casino Promotions page, where they will find a list of all current offers that can be redeemed. Here, one will find some great ways to boost account balances and will even be able to redeem offers that can be used with the SugarHouse Sportsbook. One of the great offers on hand is the $150K King Cash Bounty Hunt. This promotion provides players with the chance to win as much as $150,000 in bonus money by helping the casino catch criminals and villains as they play their favorite games. Random symbols will be awarded for every 25 loyalty points that are earned and with 28 symbols available, players will have outstanding chances to earn some great bonus payouts. Those that will be using their account to access the Sportsbook section will find some great deals, such as the $500 in Offers promo that is featured for those that become a new member. This will award members with a $25 match bet, a pass to the High Limit Lounge for one day and as much as $500 in slot play. Anyone that has a real money account at the site will be a Loyalty Member and will be able to earn points as they place wagers. There are two types of points that can be earned, Loyalty Level Points and Bonus Store Points. Level points are used to increase the levels of the loyalty program, with each level presenting more rewards and incentives. The Bonus Store points can be used to unlock special bonuses. With Bonus Store points, players will be able to cash in on Wheel Spins, Scratch Cards, Special Match Bonuses, and other great rewards. There are 11 tiers to the program and each will offer more perks, including Bonus Store Access, Free Bingo games, Custom Deposit Limits, VIP Managers, VIP Lounge Access, Exclusive Free Play Offers and so much more. At SugarHouse, players enjoy access to almost 300 different game titles and these are powered by some of the best software providers in the industry, including IGT, Net Entertainment, Evolution, Bally Games, Spin Games, Rush Games, Slingo Games, Barcrest, NextGen, NYX, and more. Since this casino site makes use of so many providers, players will not have to perform any software download. All games will be instantly loaded through the web browser for a fast and secure connection. The games are all enjoyable and can be quite rewarding, especially when using the SugarHouse bonus code, and players will find a fantastic array of slot games. With leading developers, one will enjoy the hottest titles and the latest releases and will find a great mix of three and five reel games. There are also some outstanding progressive jackpot slots that are offered. Some of the top played slot titles that can be enjoyed at SugarHouse include Chili Chili Fire, Sparkling Roses, Witchcraft Academy, Wilds Deluxe, The Voice, and a number of others. The site is always adding new and exciting slots to the portfolio. Looking for table and card games? SugarHouse has all bases covered and one will find all the casino classics offered. There are multiple variations of blackjack, roulette, and poker offered along with games like Soc Bo, Craps, Baccarat and more. There are also some great versions of video poker that can be played. All games supported can be enjoyed for various bet amounts, so the needs of low, mid and high rollers will always be met. SugarHouse has teamed up with Evolution Gaming to present players with a great assortment of live dealer games. These types of games have become a top choice for online gamblers as they offer the feeling of being right in a real New Jersey casino. The games are played in real time and provide players with the chance to interact with others at the table. This is one of the reasons many players have turned their attention to live dealer games. 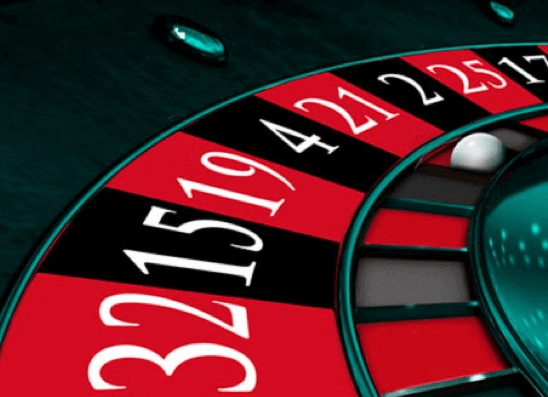 Standard casino games found online often lack a social aspect, so with live dealers dealing cards and spinning roulette wheels, players can enjoy a true gambling experience. Look out in the future for SugarHouse bonus codes for live dealer games. At the site, players will find live versions of Baccarat, Roulette, Blackjack, online slots and Poker, so there are a number of options for anyone that is seeking the most realistic experience online. While the live dealer game selection is rather limited, players with real money accounts at SugarHouse will find these games to be the most enjoyable and often the most rewarding. Players within the borders of New Jersey also usually enjoy the leading games using a mobile device on Casino Apps. There is a casino app available to downloading that is offered through the Apple App Store and the Google Play Store, providing iOS and Android users with a safe and easy way to connect with the casino on the go. There is also an instant play version of the mobile platform for those that are using other operating systems. Like with the desktop version of the casino, make sure to use the SugarHouse bonus code when signing up via the app. The SugarHouse mobile app or instant play platform is available in three different languages and offers access to the hottest SugarHouse games. Players will also benefit from any offered promotion and will receive loyalty points as they place real money wagers. Mobile gamblers will find the mobile platform to be easy to use and will be able to manage their accounts at all time since they will have access to the casino cashier right through their mobile devices. In order to cash in on the SugarHouse bonus code and any other offer, players will have to create a real money account, which can securely be done by visiting the cashier. Here, one will find a number of trusted methods that can be used to conduct deposits. At this time, players who wish to engage in real money gambling at the site will be able to add funds using the following options. Likewise, withdrawing funds from your account is quick and simple. Players will access the Cashier and select “Withdraw”. The withdrawal will be processed automatically using the method that was used for the deposit. However, if this is not an option, players can choose from the following options. When using the Prepaid Card of Cash at Cage, withdrawals will be processed instantly. Those that are using Neteller may have to wait 1 business day to receive funds. Furthermore, an ACH withdrawal can take from 3 to 5 days to complete. Requesting a check by mail usually takes 10 to 14 days for the check to arrive. Have any concerns or issues when on the platform? Connect with a trained group of support professionals. The support team is available with fast and friendly service to address any issues you may have. Reach them by sending an email or by using the Live Chat option. There is also a useful Help section that offers many questions and answers, so this is a perfect place for any new gambler to begin. The SugarHouse Casino promo code is a great way to start when signing up at SugarHouse Casino. SugarHouse is a great casino with a ton of fun games and game types to try out. Unlike most competitors, SugarHouse offers an integrated sportsbook! So, you can always bet on your favorite sports after playing your favorite online casino games. The SugarHouse Casino login is fast and easy, which means you can start playing right away. And remember, please gamble responsibly. T&Cs apply, 21+ in New Jersey. SugarHouse have treated their players from New Jersey with this bonus. The SugarHouse Promo Code is MAXBONUS and using it at registration gives up to $250 bonus on the first deposit! This offer is available both on desktop or mobile so don’t hesitate to play on the go!